In the round of 'royal musical chairs' that played out two months ago, the Sudairi branch of the royal family consolidated its grip on power at the expense of those loyal to the late King Abdullah. A view from the Senior Lecturer in the study of Islam and the Muslim world at King's College London. They are back: the appointment of Muhammad bin Nayef and Muhammad bin Salman as crown prince and deputy heir to the throne indeed formalizes the ascent to power of the grandsons of the kingdom’s founder, Abd al-Aziz Ibn Saud. But focusing on this generational shift is missing the point of the latest round of royal musical chairs in Saudi Arabia. 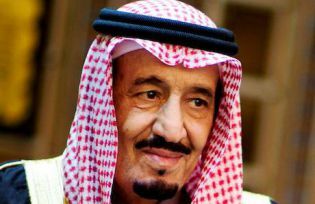 Giving the second and third highest offices to the sons of late Crown Prince Nayef and current King Salman entrenches the Sudairi branch of the royal family once again at the centre of power, thus further dismantling former King Abdullah’s measures to curb the influence of a group of princes that have gone virtually unchallenged since 1975. After the assassination of King Faisal and during the reign of King Khalid, the future King Fahd and his six full brothers, known as the ‘Sudairi Seven’ (named after the clan of their mother), built an unassailable fortress of power within the royal family and the kingdom-at-large by taking control of the office of crown prince, the ministries of interior and defence, as well as several key provinces. In his final years as king, Abdullah used the successive demise of Crown Princes Sultan and Nayef to insert his own sons, and members of other branches of the royal family, in key positions in order to offset Sudairi power. This led to the removal of the sons of the late King Fahd and Prince Sultan from key government posts. The unprecedented retirement ‘at his own request’ of the current king’s half-brother, Crown Prince Muqrin, completes a process set in motion on the very day Salman took the throne in January 2015. With lightning speed most of the sons of King Abdullah and other loyalists were dismissed from their posts, while the energetic Muhammad bin Nayef and Muhammad bin Salman quickly overshadowed the ailing new monarch in running the daily administration of government. Although they are younger and more hands-on, don’t expect any structural changes or liberalisation in the way the Sudairi branch of the Al Saud runs what they consider ‘their country’. Aside from Uncle Muqrin, other victims of the latest move include their cousins from the only other branch of the royal family that seemed to have – or rather had – the potential of competing with the Sudairis: the sons of King Faisal. Prince Saud Al Faysal, the country’s long-serving Minister of Foreign Affairs was also relieved of his duties on 29 April. Having held the office for 40 years, Saud’s health had been failing for quite some time, rapidly deteriorating in recent months. So while his retirement was expected for some time, it removes the last of King Faysal’s sons from the central government. His brother Turki Al Faysal, a former intelligence chief and ambassador, had already been sidelined a while ago, after falling out with the Sudairis over their constant interfering in Saudi-American relations when Turki was posted in Washington. In January 2015, the other brother, Khalid Al Faysal lost his position as Minister of Education and was sent back to the governorship of Mecca. A painter and published poet, the cultured Khalid Al Faysal has been the intellectual face of the royal family for decades. His appointment as education minister by King Abdullah, in 2013, seemed to be part of a – by Saudi standards – progressive approach to a key aspect of Saudi governance because of the country’s young population. This trend was further undone by the collateral damage suffered by Nora Al Fayez, vice minister of education since 2009 and the highest female office holder in Saudi Arabia’s government. She was also fired in this latest round of government changes; allegedly because her progressive ideas upset the reactionary religious establishment. Although the replacement of Saudi Al Faysal by the first non-royal Minister of Foreign Affairs, former ambassador to the US Adel al-Jubeir, and the earlier appointment of another non-royal general as head of central intelligence, can be interpreted as a professionalization of international relations and intelligence, it will only affect the executive level. Foreign and international security policy-making will remain firmly a royal domain, now under the almost exclusive control of the two Muhammads. It also provides the Al Saud with useful scapegoats if and when things go wrong. In view of the ‘Decisive Storm’ initiative in Yemen, what can be expected is a more pro-active stance on the part of the Saudis, rather than the reactive attitudes of the older generation when it comes to responding to international crises. While presenting a modern and technocratic front (including increased media savviness), it is all about power for the Sudairis. Barring any unforeseeable events, with this latest move they have not only secured control of the throne, but also consolidated their hold over the kingdom for decades to come. Carool Kersten is a senior lecturer in the study of Islam and the Muslim world at King’s College London. He is the author of The Caliphate and Islamic Statehood (2015), Islam in Indonesia (2014) and co-editor of Alternative Islamic Discourses and Religious Authority (2013) and Demystifying the Caliphate (2012). He worked in Saudi Arabia from 1989 until 2000, and maintains the Critical Muslim blog.